Get Published Free! 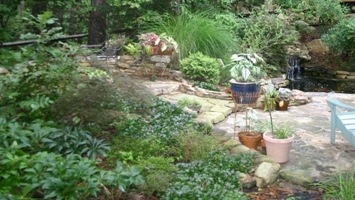 Send Pictures & Share Your Great Landscaping with the Readers! Get published on this site for free! Is your landscape gorgeous and something you are proud of? Use this page as a place to brag about it and share it with the world! Send pictures with an explanation and you will get a web page on this site dedicated to your project. We’d love to see your hardscape design, plant combinations or anything pertaining to landscape design that you find worthy. Pictures speak a thousand words and bring the project to life. Do not be shy. Everyone has something unique to share. I hope to be hearing from you! Have A Great Landscape You Want to Show Off? Wonderful landscaping takes hard work to develop the design and to implement. If you have worked hard and want to show it off. Please do! The readers will love it.